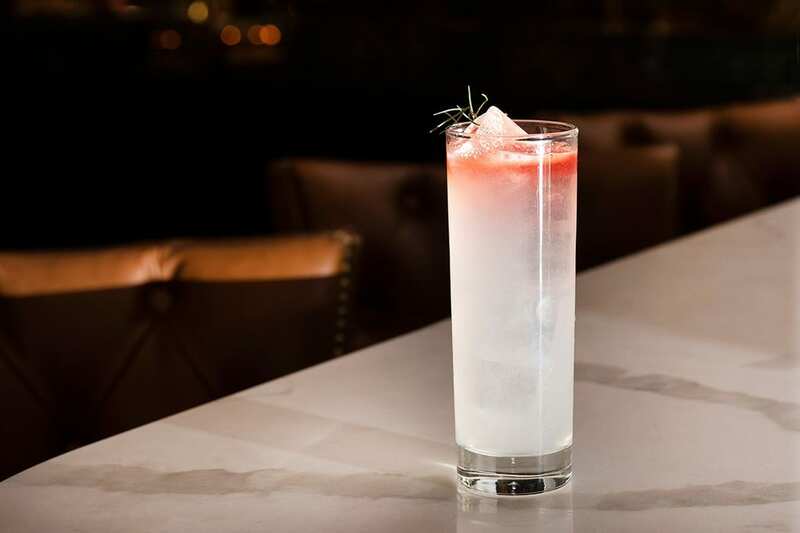 Created by Marshall Minaya of Valerie in New York City, this cocktail pays homage to Sasha Petraske’s KT Collins and is named in honor of Petraske’s wife, Georgette Moger-Petraske. Add the gin, fennel syrup, lemon, celery bitters, and salt to a shaker, add ice and shake to chill. Strain into an ice-filled Collins glass and top with soda and 2 dashes of Peychaud’s bitters. Garnish. Fennel Syrup: Add 3 cups of water and 3 cups of sugar to a medium-sized pot on medium-high heat. Once the sugar dissolves, add 4 cups of chopped fennel (bulbs and tops) and 1 thin ginger slice, and stir occasionally. As the liquid begins to turn color and the fennel become soft, remove from the heat and cover. When the mixture cools, strain it through a tea strainer into a bottle and refrigerate for up to 2 weeks. Yields approximately 1 quart. A delightfully drinkable Tangerine IPA is the newest release in the Stone “Enjoy By” series.